I owe a debt of gratitude to my parents, Mr. and Mrs. James G. Payne, and my sister, Janice, for their loyal support, patience, and encouragement during the past ten years of research, and for the sacrifices they made so that I could continue my study of the Kent State incident. My cousin, Ron Hansen, has also been very supportive during this study. I wish to thank all of the photographers and those who contributed to this volume, especially the parents of the Kent State victims, Barry Levine, Peter Davies, Glenn Frank, and Sanford Rosen for providing personal material to help acquaint the reader with the slain students. 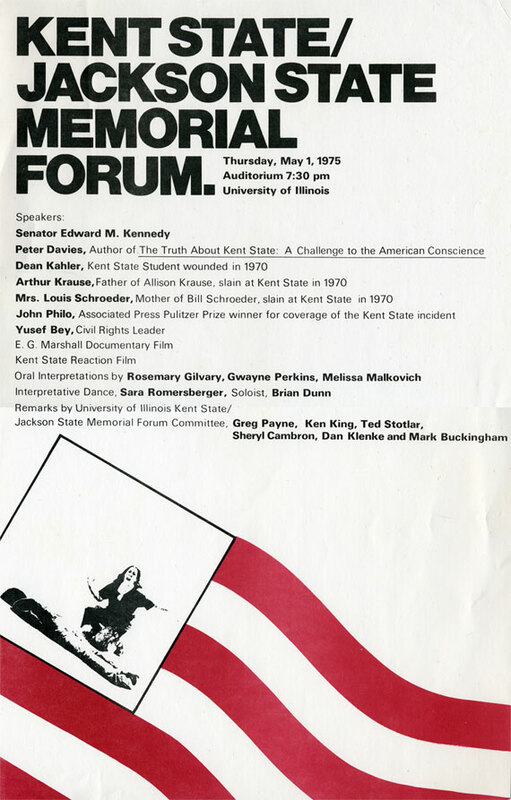 Max and Micheline Keller provided me a unique opportunity to help convey what occurred on May 4, 1970 to millions of Americans through Kent State, and I shall always be grateful for this experience. In addition I would like to thank Dorothy Fox, Anne Carlucci, Amy Wilson and Steve Doran of Interplanetary Productions. Irv Wilson, Dennis Considine, Karen Danaher, Hamilton Cloud and Eileen Flores of NBC all provided supportive encouragement as did Lin Bolen of Lin Bolen Productions. I thank all those, too many to mention, who helped with preparation of the manuscript, but especially David Voss, Sandra Kardonski, Sherry Jo Summary and Mary Dollarhide, for their research talents, Professor King Broderick-Allen of the University of Illinois, and a special thanks to the Department of Theatre Arts and Rhetoric of Occidental College. Finally, I wish to thank Grant W. Flakoll for his dedication to this project and his superb editing skill; and John David who provided his vast experience as research coordinator of MAYDAY: Kent State. Special thanks to Ken Elkins, John Filo and John Darnell, Jr., for giving us permission to use their photographs.